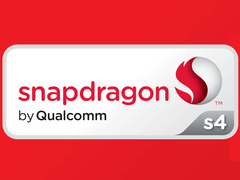 The Qualcomm Snapdragon S4 Pro APQ8064A is a high-end SoC for Android smartphones and tablets, which was introduced in 2012. The chip integrates 4 CPU cores, which are based on the ARMv7-compatible, but by Qualcomm designed Krait architecture. This provides a much higher per-MHz performance than Cortex-A9 chips such as Nvidia's Tegra 3 or the Exynos 4412 from Samsung, but does not quite reach the performance of the Cortex-A15 (for example in the Tegra 4). The memory is accessed via 2 x 32 bit LPDDR2 at up to 533 MHz, which offers a bandwidth of 8.5 GB/s. The APQ8064A integrates an Adreno 320 GPU by IMG, which clocks at 400 MHz and offers a performance of over 50 GFLOPS. Thus, the graphics unit is one of the fastest in the SoC market (early 2013) and is only surpassed by a few models such as the PowerVR SGX554MP4 in the iPad 4. Therefore, even the most demanding 3D games in high resolutions will run fluently (Sony Xperia Z with 1080p display). Thanks to a dedicated decoder, the SoC can accelerate 1080p video playback up to a frame rate of 30 fps. 3D photos are possible up to a resolution of 20 megapixels. In addition, the chip also integrates a wireless module with Bluetooth 4.0 and WLAN 802.11ac/a/b/g/n. Produced by TSMC in 28 nm (LP), the power consumption should be around 4 watts (estimated, depending on the clock speed).